We know those guys over at Mahar Drygoods know how to have fun but recently they have formalised the party atmosphere by adding the brand new Mahar Drygoods Party Ware Division. Owner Robert Mahar stresses that in many ways it’s business as usual but with pom poms on their hats and a birthday cake buffet in the lunch room. We have reviewed goodies from Mahar Drygoods previously on Babyology and their carefully curated collection of handcrafts and vintage inspired children’s wares always delight. Needless to say, the Mahar party pieces are a little different, fun and sure to get the party started. Check out the bright chalkboard cloth bunting, cleverly designed so that you can personalise a celebration message and decorate at the same time – and then do the same for the next party – nifty! Chalkboard Cloth Bunting is US$28. There’s a party at your printer with the Paper Birthday Party Kit. 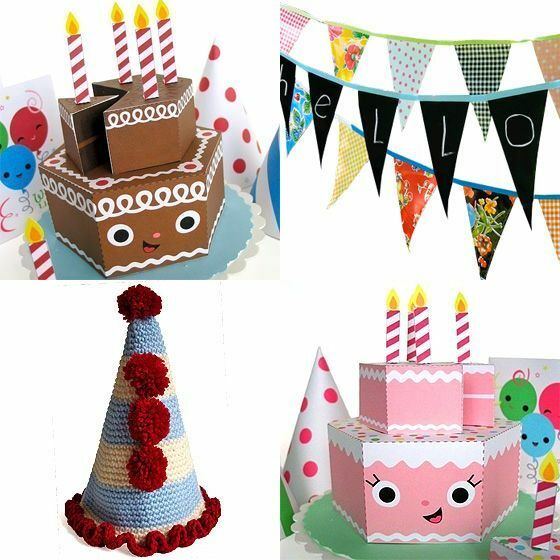 Download this terrific set of printables by toy designer Tim Haugen and you’ll have instant cake, hats and cards! The Paper Birthday Party Kit costs US$4 and is available in either ‘chocolate’ or ‘strawberry’. 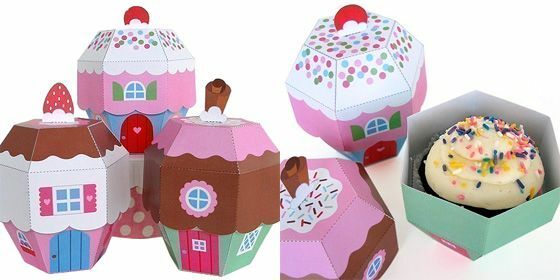 Also by Haugen are the delectable Cupcake Cottage Favour Boxes – the sweetest way to take birthday cake home at just US$4 for a printable set of three designs. Lastly, put the cigars away and celebrate a new arrival with sweet vintage-inspired ‘It’s a Boy’ or ‘It’s a Girl’ badges – buy a whole set for proud parents, siblings and grandparents (US$16 for a set of twenty-four badges). For more birthday party ideas check out our previous party posts and birthday printables.